The Sitka Bicycle Friendly Community Coalition will meet from noon to 1 p.m. on Wednesday, Feb. 24, at the Larkspur Café. The monthly meeting is open to everyone interested in making Sitka and even better town for cyclists of all ages. We just submitted another renewal application for Bicycle Friendly Community earlier this month (we were awarded the bronze designation in 2008 and 2012), so hopefully we’re ready to move up a level or two. 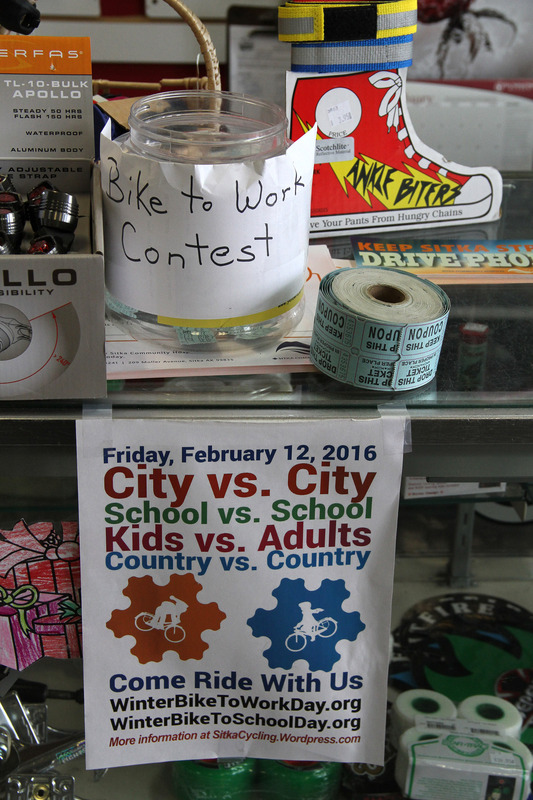 Six lucky Sitka cyclists won prizes for riding their bikes to work or school on Friday, Feb. 12, which was fourth annual International Winter Bike To Work Day and the inaugural International Winter Bike To School Day. There were 24 cyclists who filled out tickets for their rides at Yellow Jersey Cycle Shop, but there were a lot more cyclists who actually rode their bikes on Friday (there were several full bike racks in front of various workplaces). Other than some intermittent showers, there wasn’t much winter in our rides on Friday, and no ice or snow on the roads. Riders also were encouraged to register on the two event websites if they planned to ride to work or school, but only 11 riders from Sitka did. Still that was enough for us to finish in a tie for 104th place overall, and even put us ahead or right behind several big cities with millions of people, such as New York City (12), Philadelphia (12), Chicago (10), Berlin (10), and even Portland, Ore. (9). The top five cities overall were 2015 top city Zagreb, Croatia (841); 2014 top city Oulu, Finland (676, with 376 of those students); Novi Sad, Serbia (621); St. Petersburg, Russia (460); and Calgary, Alberta, Canada (453). Anchorage was the top city from Alaska (fourth among U.S. cities), with 72 riders for 27th place overall. Thanks to everybody who participated, especially our prize donors. 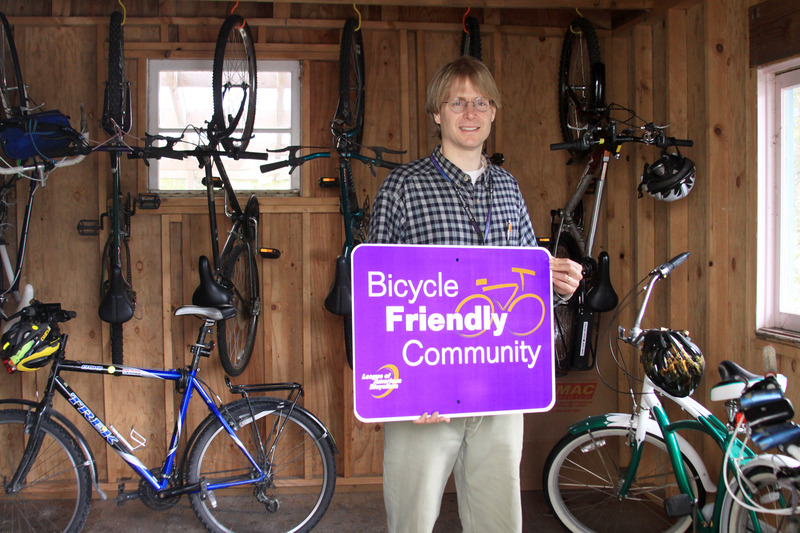 Doug Osborne of the Sitka Bicycle Friendly Community Coalition poses with one of the Bicycle Friendly Community signs from 2012. Doug is in the bike shelter at the SouthEast Alaska Regional Health Consortium (SEARHC) At Kaník Hít Community Health building in Sitka. 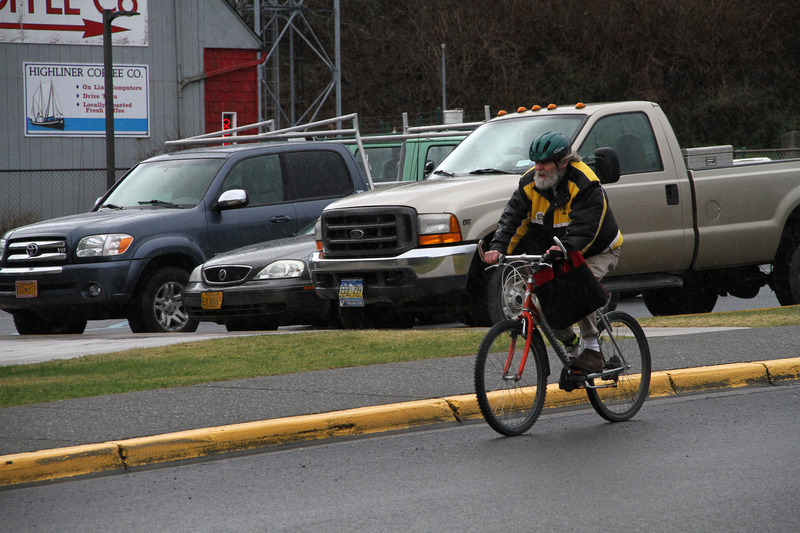 SEARHC’s Sitka Campus earned a Bicycle Friendly Business designation in 2011. The 2016 application is in. 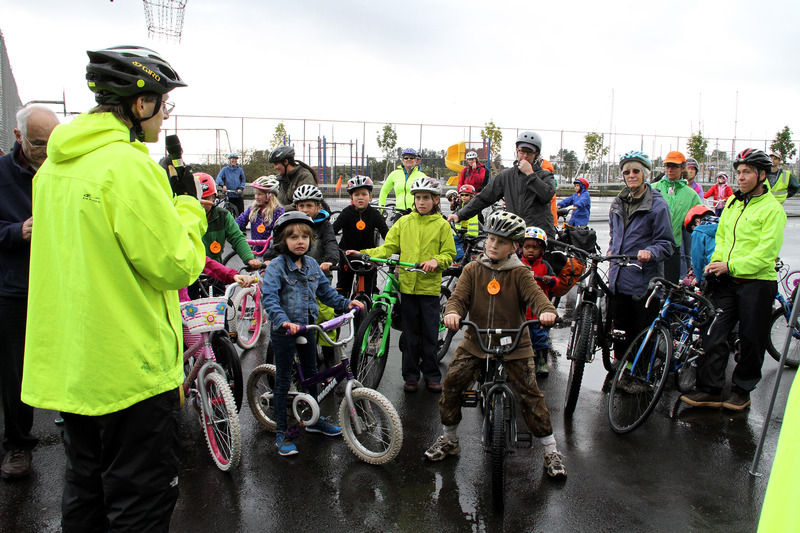 On Thursday, Feb. 11, Sitka’s renewal application for another Bicycle Friendly Community designation was submitted to the League of American Bicyclists. The deadline was Feb. 11. Now comes the waiting part. We probably won’t hear back on whether or not we maintained our current bronze level Bicycle Friendly Community status (or improved our status) until May. The League of American Bicyclists typically announces its selections as part of its kick-off to National Bike Month (the month of May). The program has four levels (Platinum, Gold, Silver and Bronze), plus there is an Honorable Mention designation for communities that aren’t quite to the level of the other Bicycle Friendly Communities. Sitka was Alaska’s first community to win a Bicycle Friendly Community award (bronze in 2008), and the first to earn a renewal of its status (bronze in 2012). Since Sitka became the first Alaska community to win the honor, two others have joined us (Anchorage, which recently upgraded from a bronze to silver designation, and Juneau, which holds a bronze designation). The Sitka Bicycle Friendly Community Coalition thanks the many people who helped us compile our applications over the years, including Lynne Brandon (formerly with the City and Borough of Sitka Department of Parks and Recreation and now with Sitka Trail Works Inc.); city planner Michael Scarcelli; city engineer Dave Longtin; Bob Laurie, Marie Heidemann and Dave Luchinetti with the Alaska Department of Transportation and Public Facilities; Sitka Mayor Mim McConnell (for the proclamation supporting our bid and leading a couple of community cycling events); Matthew Turner (who wrote our original application in 2008); Doug Osborne; the Sitka Police Department; former Sitka Trail Works director Deborah Lyons; and others (sorry if we missed thanking you). This year’s application was written by Charles Bingham, who also wrote the 2012 renewal application. A copy of our application is posted below as a PDF file.